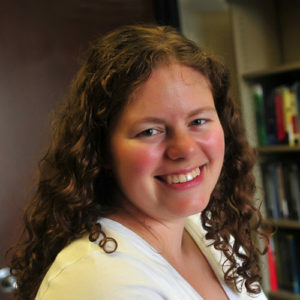 Emily Hill earned her Ph.D. in Computer Science from the University of Delaware in 2010, where she learned to appreciate the wonders of bash and the UNIX command line. She joined Drew in 2014, after teaching at Montclair State University for four years. 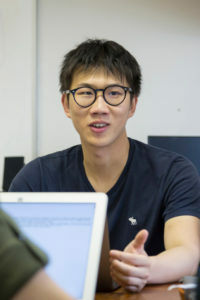 Although her main research area is software engineering, her work combines many areas of computer science, including natural language processing, information retrieval, and text mining. She enjoys collaborating with undergraduates at all levels in her work, and has already served as a research adviser for over two dozen students. Leanne M. Horinko is the Director of Graduate Admissions for the Caspersen School of Graduate Studies at Drew University. Her professional portfolio includes the day-to-day strategic planning of graduate school enrollment in addition to the research and development of new graduate programs. 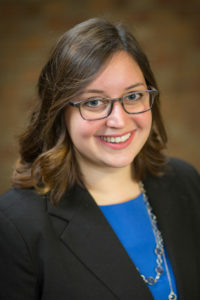 Her professional publications have appeared on Inside Higher Ed’s GradHacker column and the Organization for American Historians’ blog, Process: A Blog for American History. She is pursuing a PhD in History & Culture at Drew University. Her doctoral research examines 1960s counterculture. Her scholarly work has appeared on the Alcohol and Drugs History Society’s blog, Points. In 2016 she co-organized the Crossroads: The Future of Graduate History Education conference at Drew University. Jordan M. Reed is the Caspersen School Fellow and PhD Candidate in History & Culture at Drew University. He is an Adjunct Professor of History at Ramapo College of New Jersey, where he utilizes the American History Textbook Project (AHTP) in his teaching. 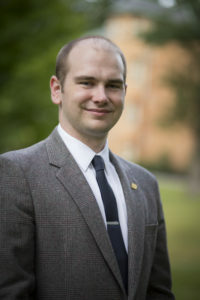 His research focuses on the history of American history textbooks and textbook authors. His scholarship is due to appear in The History Teacher, Book History and Transformations: The Journal of Inclusive Scholarship and Pedagogy. He has also written for GradHacker at InsideHigherEd.com and Process: A Blog for American History for the Organization for American Historians. Lastly, he has organized a number of events related to bringing the humanities to a public audience, including Combating Opioids and the Addiction Crisis in 2017 and Crossroads: The Future of Graduate History Education, a national conference held at Drew University in 2016. In 2012, he served at the Deputy Research Director for the Pennsylvania Democratic Party before working in marketing and higher education.